Guillaume Hazaël-Massieux graduated from École des Arts Culinaires et de l’hotellerie in Lyon, France, which is now known as L’Institut Paul Bocuse, for the celebrity chef and French food icon who presides over the university. Hazaël-Massieux brings the discipline and rigor of his French training to the kitchen of Bistro FouFou in Traverse City. His food is influenced by his childhood experiences in the West Indies (as is the bar: ask him about rhum agricole! ), and his mother’s renditions of the country foods typical of her childhood home in the east of France. 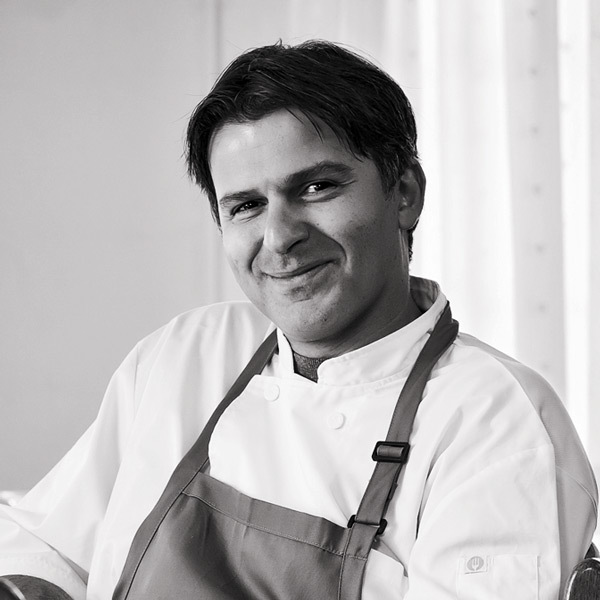 Hazaël-Massieux is also the chef-owner of La Bécasse, a French country restaurant in Burdickville.